Welcome to the August’s Stamp of the Month Australasian Blog Hop. This is a circular hop. If you arrived from Lauren’s Blog, you are in the right place. Simply read through this post and click on the link to the next blog at the end of it. Keep reading and ‘hopping’ until you find yourself back where you started from. Each blog will showcase a project featuring the For the Love of Crafting (S1808) stamp set which is August’s Stamp of the Month. This stamp set will speak to your crafty heart for sure! 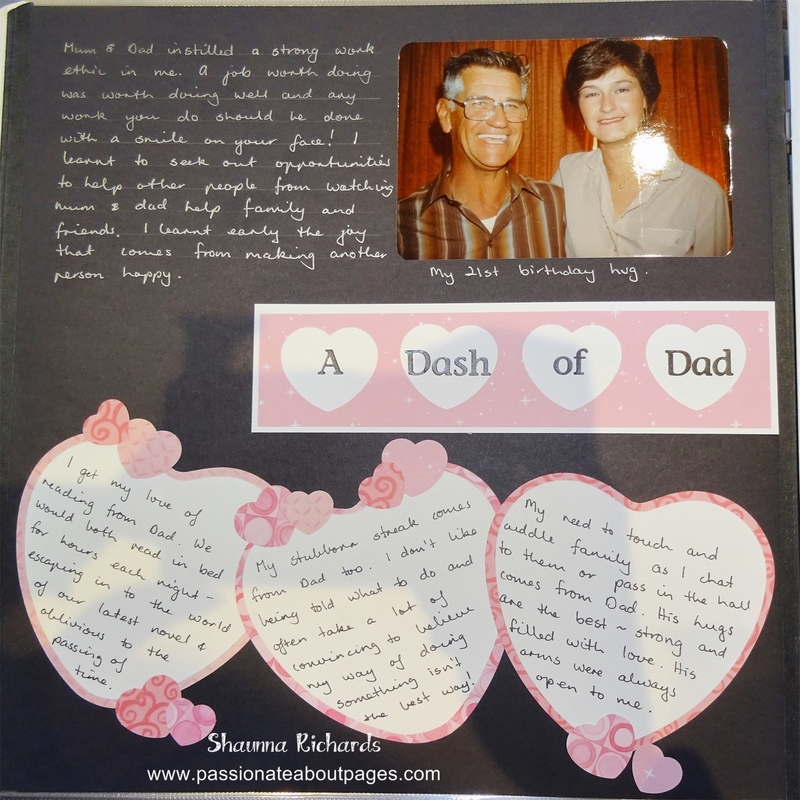 Craftiness IS happiness and I think we should all celebrate this part of our life in our albums. Today’s page is the first page in my crafting chapter of my Book of Me Albums. This is an ongoing project I’ve been working on for years. I record all sorts of information about myself across all ages in these albums. I have a stack of photos of different craft projects over the years that will go on the pages following this one. 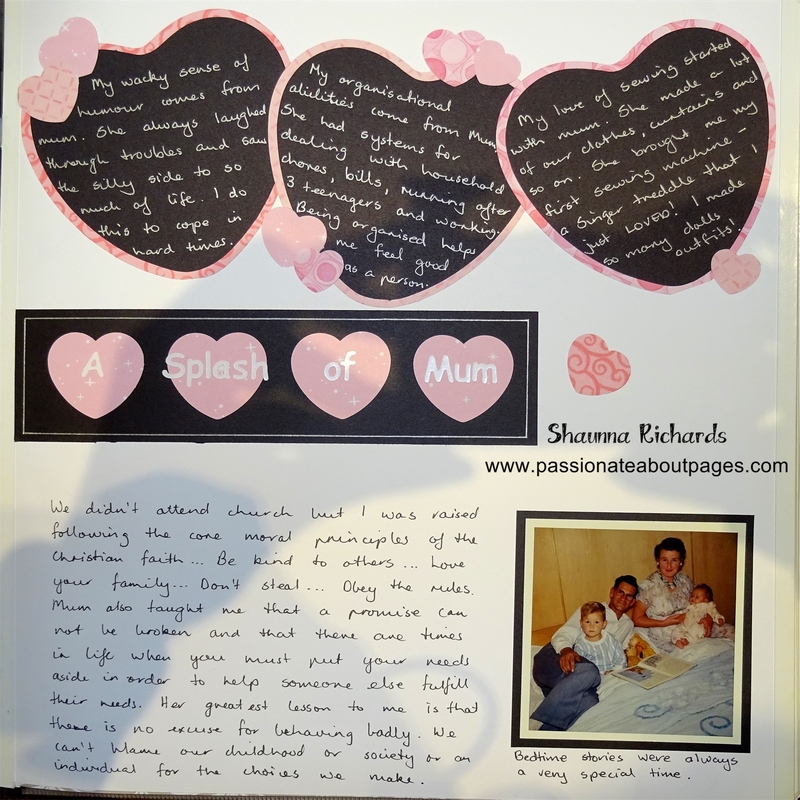 I think I will just make the paper frame and stamp ‘I love crafting’ as I’ve done for this layout and mount the photos along with their stories – nice and simple. Stamping the decorative sentiments from the stamp set in Pewter ink kept them a subtle accent on the page. I love this stamp, Heartfelt Thanks, because it is so delicate and feminine. I thought it made a great title block. For the Love of Crafting (S1808) is only available during August, 2018. Full retail price is $29.70 but you can have this gorgeous set for just $8.25 when accompanied by a $82.50 order (GST Incl). Place your order with your Close To My Heart Consultant. A list of the products used for this project follows. All items are available to purchase from your Close To My Heart Consultant. If you live in Australia and do not have a consultant you can shop here. Today’s pages come out of the vault. They were made 9 years ago but the words hold true today. Yesterday being Mother’s Day, my daughter posted a link on Facebook about how she will become like me as she grows older. It got me thinking how similar we are and how like her grandmother she is too. Then I remembered these pages. These are 2 more pages from my Book of Me album. I want future generations to know the character traits that run in our family. If you are having trouble getting started just ask your family for suggestions of how you are like your parents. You may just write a list or use dot points. One thing’s for sure, once you start there won’t be much room for photos on theses pages! What do you think? Is this something you could do in one of your albums? Give it a go and let me know.